When you participate in aerobic exercise and your heart rate starts to increase, more oxygenated blood is flowing throughout your muscles and skin, resulting in the post-workout glow that we all strive for. Aerobic exercise boosts blood circulation and produces natural skin oils that help moisturize the skin and leave it looking healthy. Exercise can also help reduce and prevent the formation of wrinkles. 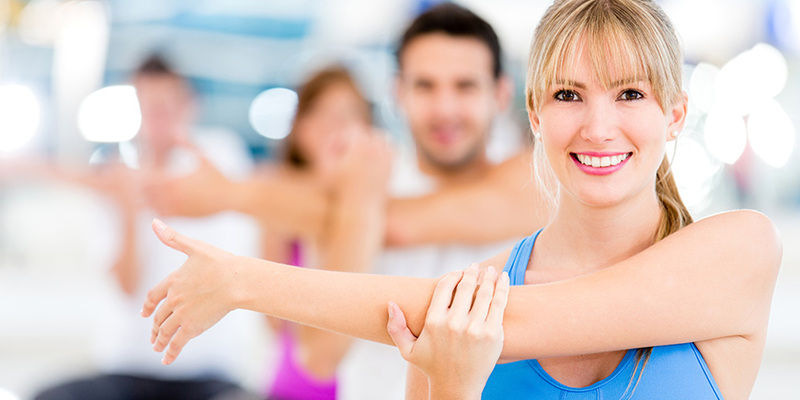 Exercise causes increased levels of collagen to be produced, which is a protein that keeps the skin firm and youthful. Picking up a set of weights can help strengthen the muscles underneath the skin to also add to firmness. For those who struggle with acne, exercise can be beneficial to your skincare routine. The sweat caused from exercise acts as a natural pore cleanser. Working out can also regulate hormone imbalances that can cause adult acne. Sweat purges the skin of toxins and aids in the unclogging of pores that results in acne. It is important to wash your face soon after exercising to remove the dead skin and sweat built up during your workout. For those with eczema, you should be wearing dry-fit workout clothing that wicks off perspiration to help prevent flare-ups. If you workout at a gym, bring fragrance-free face cleansing wipes with you and remember to remove makeup from your face before you hit the ground running.